Microsoft is trying to add various new features to its latest OS Windows 10 inorder to attract more and more users to it. With the introduction of Windows 10 by Microsoft they are planning to attract the traditional desktop users along with the modern users. By facilitating more features, they are also trying to get the attention of modern smartphone users also. But now it seems that they are including certain features to please the gamers also. Microsoft came up with Xbox App for Windows 10 with the help of which users are allowed to establish connection with the Xbox Live network and are also allowed to stream various games. The Game DVR options in Xbox allow the users to snap various snippets of gameplay or are allowed to record them. Similarly Microsoft is also trying to provide a new feature with the help of which users can record whatever played on the screen. With the introduction of New Screen Recording Tool, Microsoft made it possible to record the screen movements for you. The earlier option of this tool didn’t allow the users to record the desktop. 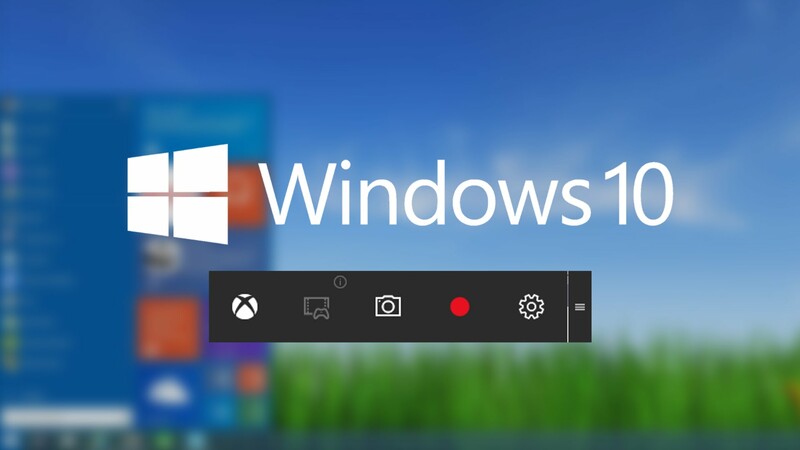 But the final launching version of Windows 10 is packed with the Recording Tool which will allow the users to utilize this feature to record the screen. Let us see the functioning of this new feature. Another pre-requisite for the functioning of this is that you need to open an App to make the Screen Capture to function properly. Through the following steps, I have tried to explain its functioning. First of all you have to press on ‘Windows + G’. Then you have to select the toolbar on which you would like to snap or record the video. After selecting the above, now you can record the video by selecting the ‘Record Button’ or pressing the short-cut ‘Windows + Alt + R’. The ‘Settings Button’ allows you to set the limit of length of videos that you would like to save or record. Normally the videos are recorded and saved in MP4 format under ‘Videos\Captures’ folder. If you want to look on the videos that you have recorded and saved you have to select ‘Game DVR Section’ in Xbox Application. But while recording the video, you are limited to record videos with 1080 pixels. Also your system must have the minimum requirements such as it must be packed with atleast Intel HD graphics 4000, GeForce 600/800M or AMD Radeon HD 7000 series. If you want to edit the recorded videos then you can use the basic trim tool. This new tool eliminated the need of advanced and complicated third party screen capture softwares. With the help of this simple Screen Recording Tool from Microsoft, now you are able to record various game sessions and then you will be able to share them on with your friends if you would like to.